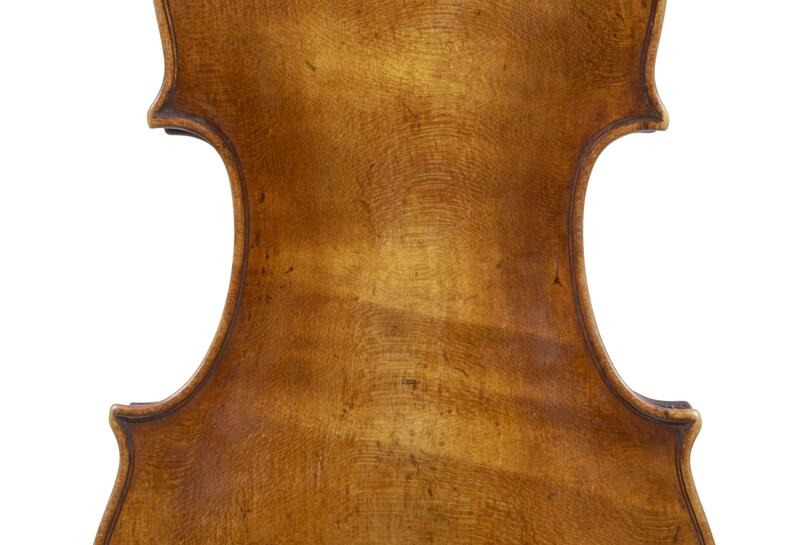 In his final article examining featured instruments from our forthcoming auction, the luthier, restorer and expert John Dilworth analyses lot 186 – the Ex-Victor Aitay Peter Guarneri violin made in Venice circa 1750-55. Each member of the Guarneri family wrought for themselves a clear and distinct style within the close demands of classical Cremonese violin making. While never losing sight of the rules of proportion and purpose, the emphasis within the family on individual expression is striking. 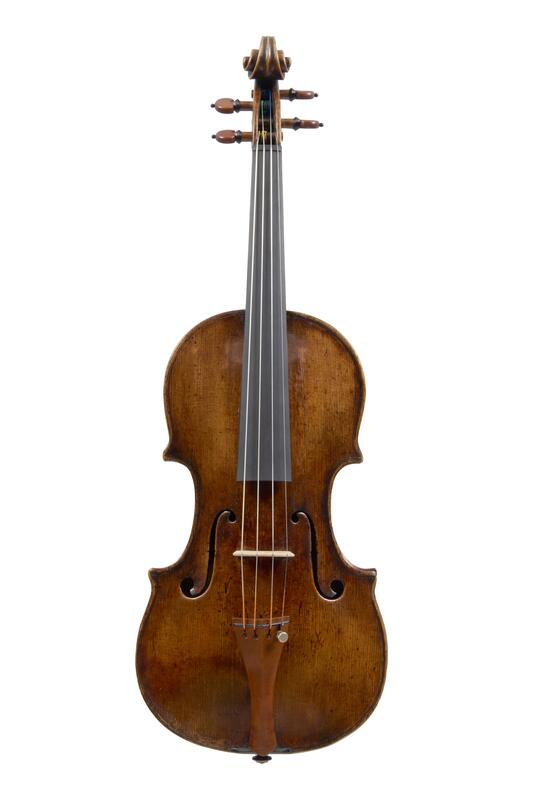 The work of Peter Guarneri of Venice, the last surviving maker of the family when this violin was made around 1750, is as instantly recognisable as the dramatic late works of his brother Giuseppe del Gesù. What makes this particular violin so dramatic is the back; a single piece of quarter sawn maple, quite plain but for two broad flashes of curl emblazoned across the centre bouts, rippling under the golden ground and the thinly rubbed varnish. The full arch is characteristic, as are the outwardly turned corners. There is more red varnish remaining on the front, which is higher arched than the back, but graced with a very elegant pair of sound holes, cut with large eyes, reminiscent of the work of his uncle, Peter Guraneri of Mantua. The scroll is also a strong statement of bold, muscular carving, broad across the turns, but finely concentric and deeply cut. The Guarneri family was the most richly imaginative of the Cremonese tradition, and Peter of Venice one of the most brilliant amongst them.